Hey! So, this is Crafter. The About page should already have a decent description of what's to come, and I'll put up a Characters Page of some sort once we've seen the rest of the beginnings of the main cast. I'm not sure I'd ever be happy with the layout on this one. It's also a bit wordy, but that's likely to continue. This is more of a story-based comic, with some comedy. I'll probably introduce gag-comics for Saturdays at some point that are just sketches. My first foray into webcomics. I've done a good chunk of writing in many functions in the past, but artwise I usually just play around. Lots of pencil sketches, but nothing formal. I went through a few art styles before I came to this one, but it may change again. Parts of this took just too much time given my job and grad classes, etc. It didn't help that I went through 3 versions, some with a lot going on in the background and all working on a larger scale. I'm also thinking I should use more pencil/pen-and-scan since those are the mediums I've spend the most time training over the years. Full color may be reserved for beginnings of chapters/special scenes (I'd like to save regular black-and-white for dramatic effect). I have everything written out plotwise and main/secondary characters (I'd estimate it'll take several years to get through the story on a weekly/bi-weekly schedule) We'll see how it goes, but I'd appreciate any feedback! Constructive criticism is more helpful than straight snarkiness, but if I know what you don't like it's still good to know, right? The whole thing has already been a great learning experience in art and graphic design. 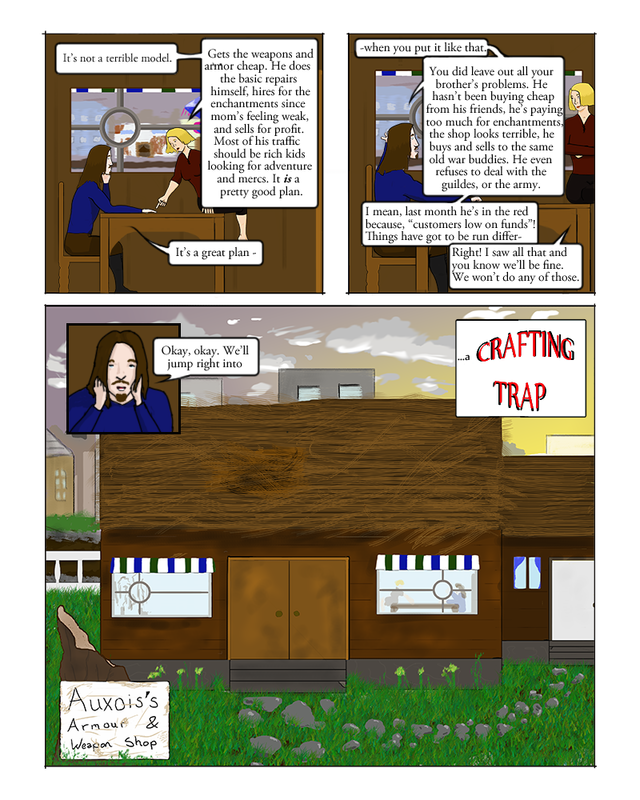 Three weeks of work has changed how I view other comics and how I approach my research in computer graphics. Oh! Also, the lettering in here is a bit messed up due to resizing. That's something that should be better from here on out.